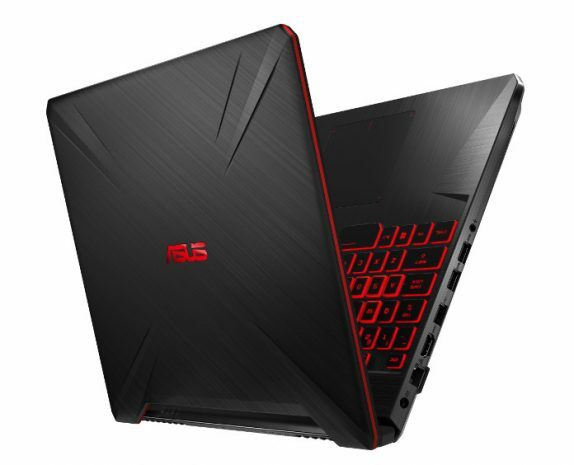 Asus has launched two new gaming laptops powered by latest AMD Ryzen 5 3550H processor and Radeon RX 560X graphics. These laptops are TUF FX505DY and FX705DY. Both the laptops have similar specifications but differ in screen sizes. Asus has included a specially-designed thermal solution to keep internal temperatures of the laptop low and maintain consistent performance over time. These laptops meet military-grade MIL-STD-810G standards for being tough. Asus TUF Gaming FX505DY features a 15.6-inch Full HD (1920 x 1080) display with 120Hz NanoEdge IPS-level. The laptop is powered by AMD Ryzen 5 3550H with Radeon RX 560X graphics. It packs up to 32GB DDR4-2666 RAM and up to 128GB NVMe SSD. The TUF FX705DY is bigger and features 17.3-inch Full HD (1920 x 1080) display with 60Hz NanoEdge IPS-level. It is powered by same AMD Ryzen 5 3550H with Radeon RX 560X graphics. It comes with up to 32GB DDR4-2666 RAM and up to 1TB FireCuda SSHD. The keyboard of these laptops is backlit and provides a Red glow that mirrors their trim and the Gold Steel models feature customizable RGB lighting. Both the models also feature DTS Headphone:X technology with 7.1-channel virtual surround. Gamers can choose between built-in presets for games, movies, and sports or do hands-on tuning with given equalizer. These laptops also come with Wi-Fi 5 along with onboard Ethernet, and three USB ports. FX505DY packs 48Whr, 3-cell Li-ion battery and the FX705DY comes with 64Whr, 4-cell Li-ion battery. Both the laptops run on Windows 10 out of the box. Asus TUB FX505 is exclusively available on Amazon while theFX705DY will be available on channel and offline.